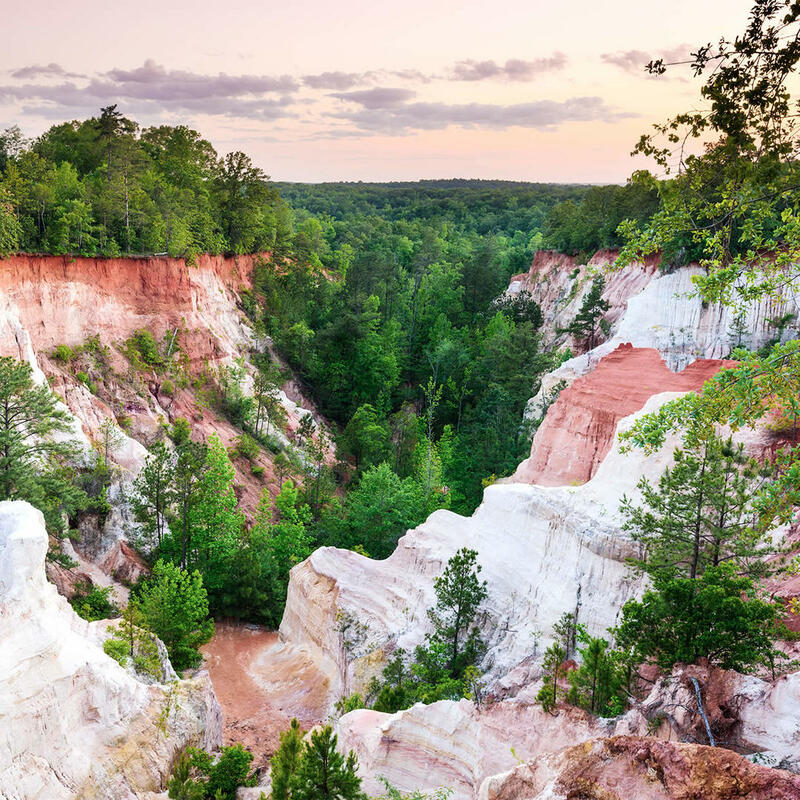 This deep cut in the earth is sometimes referred to as Georgia's "Little Grand Canyon," being one of the Seven Natural Wonders of Georgia. Unfortunately, the canyon is not entirely a natural occurrence; destructive farming caused much of the erosion in the 1800s. Also not natural to the area but interesting nonetheless, is an abandoned homestead and several junked 1950s cars which were never removed due to the further destruction it would cause.